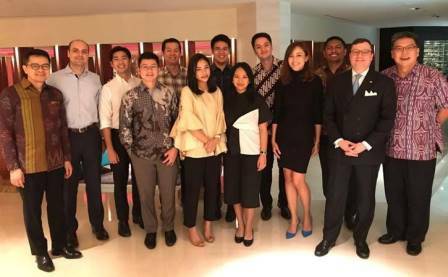 Our Alumni Ambassadors for Indonesia are pleased to invite all alumni in the country to a year-end celebratory dinner to catch up with old friends and network with new ones. You will be dining in Little Tokyo also known as Blok M and our ambassadors have arranged a tatami room to make the evening a truly authentic Japanese dining experience. You are very welcome to bring a guest with you, but please add their details at the registration. Please note that this is a self-funded event and you will be asked to pay for your consumption. Our Ambassadors, Wijaya and Usman are looking forward to seeing you there! This event is free to attend but booking is essential so please do so below. Registration is now closed. If you would like to attend this event, please email alumnievents@city.ac.uk.